The window solutions of the AMB Salamander brand are appreciated by the architects all over the world. In order to meet the modernity and current trends we are offering terrace door AMB Salamander in the HST lift and slide system. It facilitates the use of more and more famous of the glaze up to several square meters! If you appreciate the comfort, space and the ease of moving between rooms, the AMB Salamander is for you! Regardless of the fact i sit is a terrace, veranda or a balcony – with no problem you will get where you want to go. The terrace door are a lift and slide and it is a synonym of a functionality and an effectiveness. Do the windows have to be white? 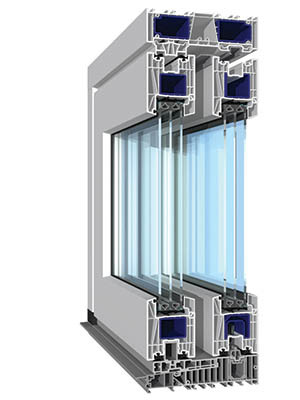 The windows AMB Salamander BluEvolution connect varius colours and unique design. We can make personalized proposals for colouring and make it suitable for the facade and give interiors unique climate.